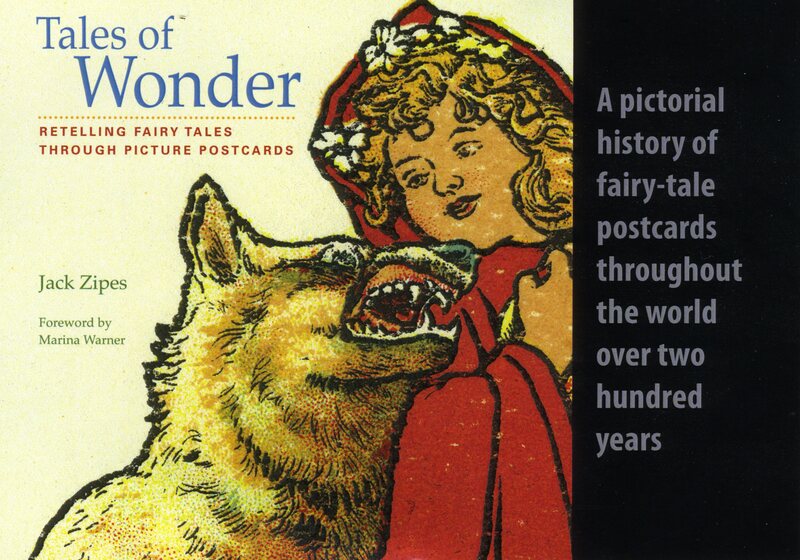 A Brief View of the Unknown History of the Fairy-Tale Postcard Here is a brief introduction to Tales of Wonder: Reading Fairy Tales through Picture Postcards, which I published with the University of Minnesota Press in 2017. The book is based on my 4,000 fairy-tale postcard collection, which I have donated to the Weisman Museum at the University of Minnesota. I have continued to collect and even sell fairy-tale postcards and postcard sets. For anyone interested in seeing the cards that I am selling, please visit Ebay. I have established a tiny publishing house called Little Mole and Honey Bear, and I intend to reprint postcards that have unique stories to tell. Each time I publish a little set, I shall tell the story behind the cards. The present set includes six classical fairy tales, printed and embossed in 1900. Unfortunately, I could not emboss the cards, but they are nevertheless beautiful reprints. Strange things have happened to the genre of the oral fairy tale over the past several centuries as the stories were being adapted in thousands of innovative ways not only through the publication of stories and books, but also through films, commercials, TV, and the Internet. Some of the most unique adaptations can be found in the realm of picture postcards, and yet, the significance of these popular cards has largely been ignored by collectors, scholars of cultural studies and folklore, and the general public. For instance, most historians, such as Frank Staff, The Picture Postcard and its Origins (1966), Toni and Valmai Holt, Picture Postcards of the Golden Age (1971), and Martin Willoughby, A History of Postcards (1994), do not refer to fairy-tale postcards in their studies. Even such works as Dawn and Peter Cope’s Red Riding Hood’s Favorite Fairy Tales (1981)[i] and J. L. Mashburn’s Fantasy Postcards (1996) do not do justice to the production of fairy-tale picture postcards in Europe and North America. Such disregard is somewhat incredible, especially if we take into consideration that thousands if not hundreds of thousands of fairy-tale postcards have been produced since the 1890s and have played a significant role in how people of all different social classes have viewed and regard fairy tales in Europe and North America. In fact, fairy-tale postcards have visually retold and embellished the tales to give them an allure that heightens their popularity throughout the world. The present volume, based on my private collection of over 4,000 fairy-tale postcards, which date back to the 1890s, is an endeavor to offset the neglect of the fairy-tale postcard by historians, collectors, and folklorists and to reveal how artists and publishers of postcards have contributed to the cultural memory of fairy tales in general. Despite the fact that postcard collectors consider fairy-tale postcards a sub-category and not worth much consideration, I want to draw attention to these picture postcards that people have shared with one another for well over 130 years. Fairy tales in general have constantly pervaded people’s lives through different media for centuries, and once picture postcards began to be produced at the end of the nineteenth century, they became another means through which fairy tales inserted themselves into popular culture. Indeed, we tend to live out the reality of our lives through retelling and reviewing fairy tales in all sorts of ways, and though the production and mailing of postcards have diminished in the twenty-first century, fairy-tale postcards still have a certain attraction that we cannot resist. Fairy-tale postcards were instrumental in fostering visual re-representations and interpretations of well-known classical folk and fairy tales, and the cards can be considered to act like memes that spread themselves as viruses throughout the twentieth century. Indeed, like memes, the fairy-tale postcards crossed borders throughout the world, traveling through air and on ground to make the tales better and more known. Postcards offered a visual impression of a particular tale that was to be appreciated by the receiver. Of course, senders of fairy-tale postcards wrote explicit messages that expressed their attachment to the fairy tale or simply implied a message through the pictured fairy tale. Whatever the case may be, the sender’s choice to send a fairy-tale postcard contributed to the relevance of the fairy-tale genre. Moreover, we must take into consideration that many postcards in general were published primarily for collectors who did not send them but gathered them because they had a passionate appreciation for the pictorial representation of a fairy-tale. What is fascinating in the production of fairy-tale postcards is that they present a new “optique” or perspective about the stories; they demand that we visually review the different ways a fairy tale can be represented through art, whether it be an oil painting, a water color, a photograph, an ink drawing, a silhouette, and so on. It is fascinating to see key scenes of fairy tales replicated in such different fashions that they provoke purchasers and receivers of the postcards to relive the tales and rethink them. The fairy tale is not just about once upon a time, it is, as fairy-tale postcard, a particular if not peculiar expression of a time, often created by talented artists and innovative publishing companies. The sharing of a fairy-tale postcard between sender and receiver and the preservation of fairy-tale postcards by collectors are endeavors to keep the fairy tales alive. Psychologically, it is difficult to determine exactly what drives people to engage with fairy-tale postcards. I have postulated that we tend to live our lives through fairy tales without our realizing how much a role they play in our daily lives through different modalities, and the fairy-tale postcard is another key example of how we have envisioned and continue to envision our lives through fairy tales. In this regard, fairy-tale postcards in the western world are binding. They have always flown and crossed borders and continue to cross borders. They actually deny nationalistic tendencies because the images on the cards are from other worlds and unknown countries. They animate us to see the tales anew, and through their pictures, we understand how storytelling vitalizes our lives and provides a bit of hope that our lives might end happily, as most fairy tales do.